Throughout the production of printed circuit boards (PCBs), component and product identification remains critical so units can be tracked both during and post-production. Some of Kolb’s customers reported that the labels on their PCB units were getting damaged and becoming illegible during production. PCBs are exposed to very high temperatures, a variety of environmental contaminants during production, and harsh chemicals and ultrasonic movement in board washes. It is exposure to these processes that can be destructive to the labels or render them unreadable. As PCBs are typically produced large scale, label failure can have a big impact on thousands of units leading to significant cost implications. Kolb realised they needed to find a durable label solution that could withstand their board washes and high production temperatures. Kolb contacted CILS International after receiving a recommendation from a mutual customer. After receiving CILS label samples, they subjected them to simulation tests to satisfy the need for a solvent, abrasion and heat resistant label solution. Using their average machine cleaning parameters in their standard AQUBE LH7® cleaning machine, Kolb tested the durability of CILS labels using 11 of their registered detergents. 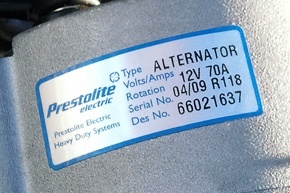 Labels were tested on printed, assembled and soldered circuit boards in temperatures up to 90°C. Kolb also simulated the PCB soldering process to test the durability of CILS labels. These were ‘baked’ in a drying cabinet in temperatures up to 180°C. The results detailed in Kolb's test application report proved conclusively, that when variable data was printed using a Thermal Transfer Printer with the requisite printer ribbon on durable labels CILS-8900, CILS-8900US (ultrasonic), CILS-8100 and CILS-8100 HT (high-tack), it solved Kolb's challenge. The image above shows the visual result of one of the tests that Kolb conducted, as is detailed their application test report. The unique durable label solutions from CILS has given Kolb the confidence to recommend CILS labels to their PCB manufacturing customers, with complete peace of mind that they will provide resistance to abrasion, smudging, heat, moisture, solvents and cleaning agents. Kolb’s test results proved conclusively that CILS labels are manufactured to withstand the harshest environments. "Kolb proactively solved customer concerns with a proven durable label solution from CILS. 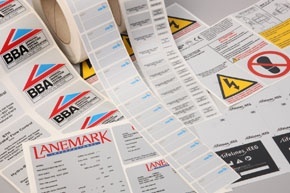 We now confidently recommend CILS labels to all our PCB manufacturing customers." - Christian Ortmann, CEO Kolb Cleaning Technology.